I’m so behind on my travel posts! 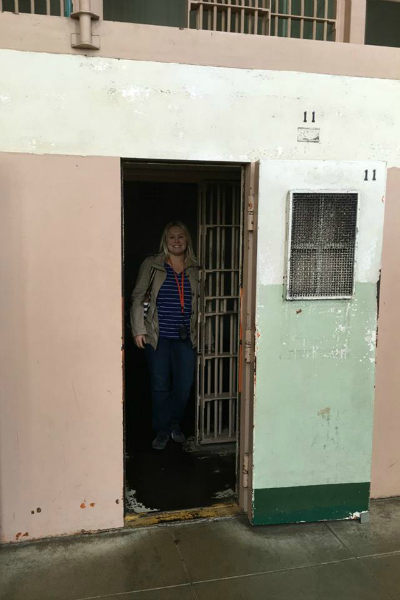 I have so many other places to cover, but today I want to jump ahead and talk about our day on Alcatraz Island back in September! 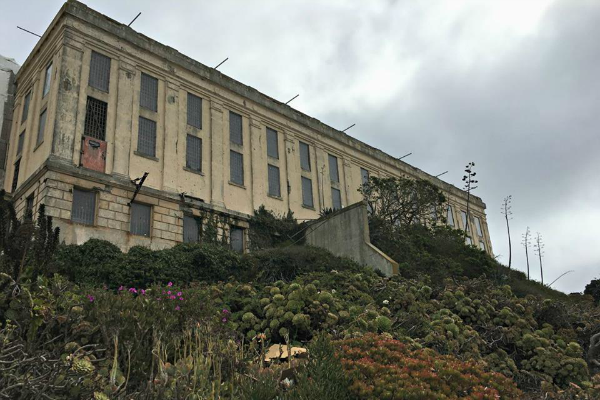 Alcatraz Island is most known for the infamous federal penitentiary, but it was also a Civil War fortress, the first lighthouse on the West Coast, the birthplace of the American Indian Red Power, and bird sanctuary. 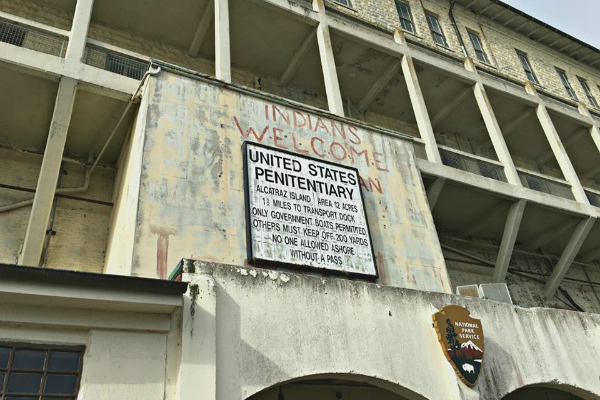 Now the island is a part of the National Park Service and visitors can tour the island and penitentiary. If you want to visit Alcatraz, it’s HIGHLY recommended that you buy the ferry tickets ahead of time. 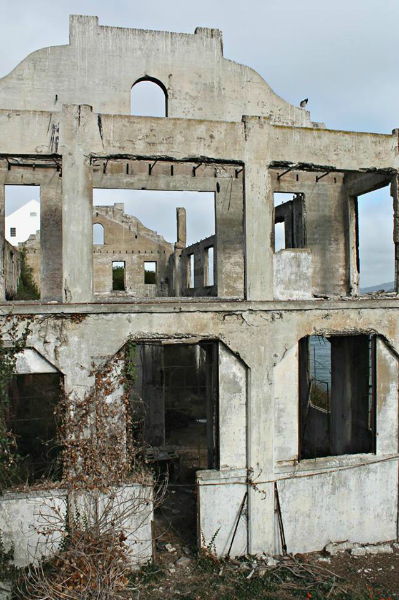 The Alcatraz Cruises site is the official National Park site to buy tickets. My mom and I like to get an early start to beat the crowds, so we bought the early bird tickets. The early bird tour starts at 8:45 and the next tour isn’t until 9:10, so you get a pretty nice head start. Once the ferry drops you off on the island, a park ranger greets the crowd and gives a quick rundown of the island. 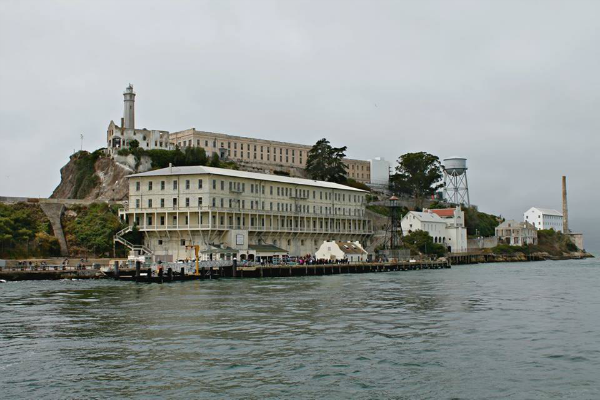 From there you can watch a short video about Alcatraz or head up the main prison building. We decided to take full advantage of being the first group on the island and headed up to the prison instead of waiting to watch the video. 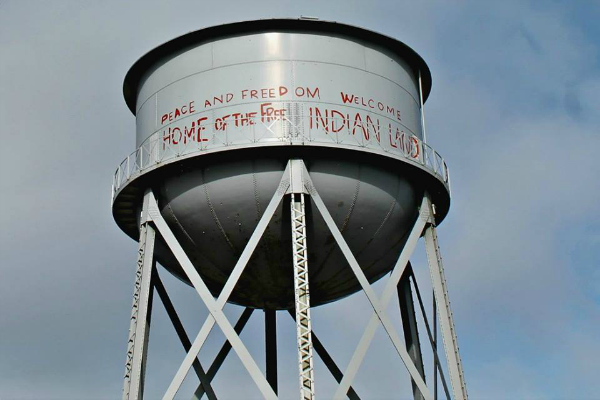 It’s a pretty steep climb with a couple switchbacks to reach the main prison building, so bring comfortable shoes. The audio guide that’s provided for the self-tour is very well done. 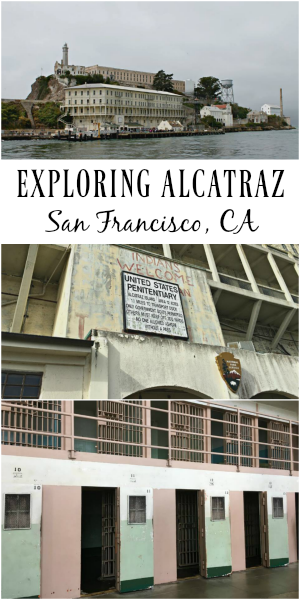 It’s full of interesting information about prison life and even includes interviews from former Alcatraz prisoners and guards. 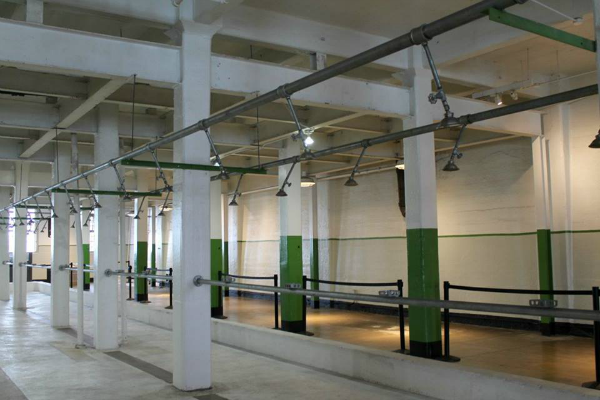 The tour takes you past the laundry area, through the showers to the different cell blocks including the maximum security wing. You can also tour the outside area and gardens. The view of San Francisco from Alcatraz Island is pretty amazing. Unfortunately, it was too foggy to see the Golden Gate Bridge that morning. 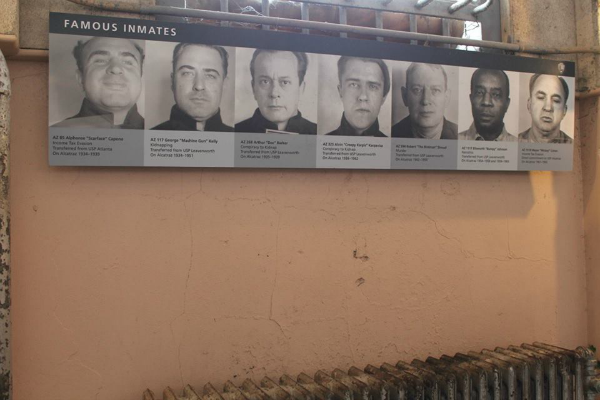 OK, so here’s where I admit why my mom and I were so excited to visit Alcatraz - One of my grandpa's cousins was Kathryn Kelly, wife of George "Machine Gun" Kelly (2nd from the left). She was thought to be the mastermind behind the "Machine Gun Kelly" image and several of his successful bank robberies. In 1933 they kidnapped oil tycoon Charles Urschel and held him for $200,000 ransom. Eventually they were caught and sentenced to life in prison. 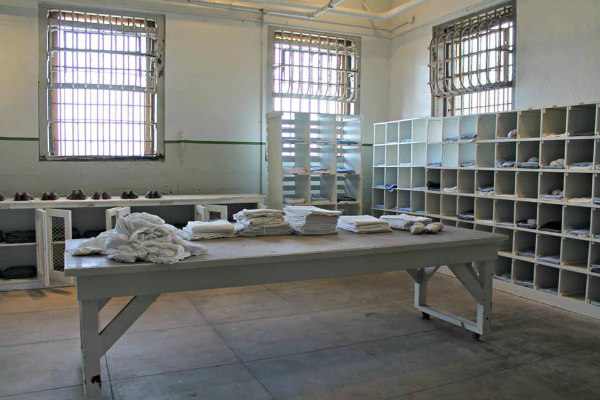 After threatening to escape Leavenworth, he was sent to Alcatraz in September 1934 and was one of the first groups of prisoners on the island. 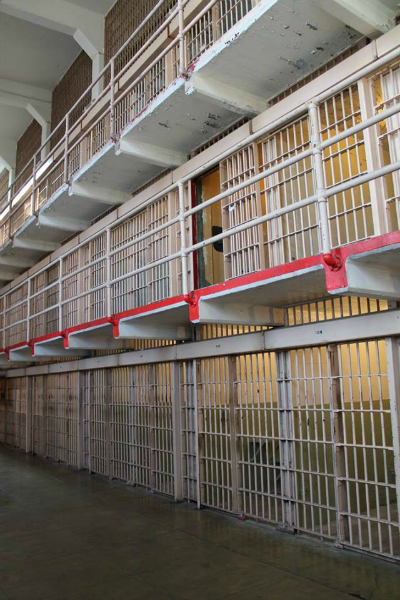 He became inmate AZ#117. You can read more about George “Machine Gun” Kelly here. I’m sure that being involved in crime and being sentenced to prison brought shame to the family name at the time, but now it’s considered interesting family history. Anyway, after touring the different areas of the prison and walking around the island, we headed back down to watch the film and catch the ferry. The film was interesting, but it wasn’t necessary to watch before visiting the island so I’m glad we did that last. By the time we boarded the ferry, it was starting to get pretty crowded on the island. We were definitely happy about our decision to take the early bird tour. 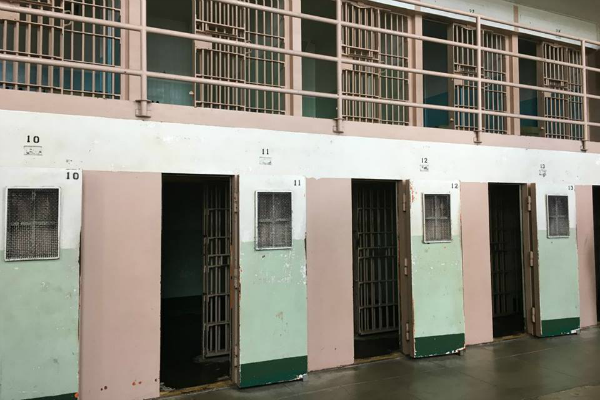 We had such a fun morning exploring Alcatraz. I definitely recommend getting tickets if you are planning a trip to San Francisco. If you don’t mind getting up early, the early bird tour is definitely the way to go. Although I bet the night tour is also fun (probably kind of creepy too). i went there and was blown away by the tour - it was unreal! Wow, what interesting family history!! And these images are awesome! 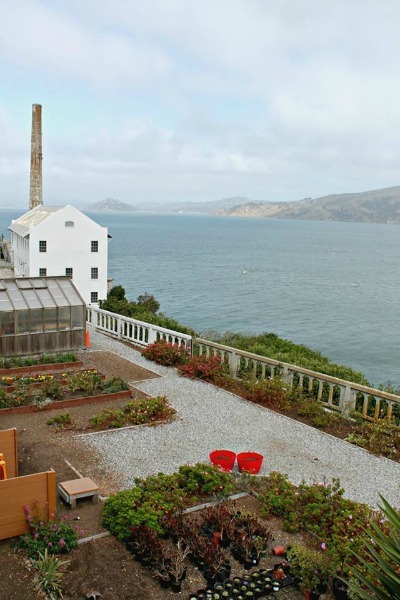 I really want to explore Alcatraz one day. Thanks for the tip on the early morning tour. I am NOT an early bird, but may have to be so we can beat the crowds! Though that night too tour does sound pretty tempting! I love spooky!